Here at Häfele, as well as manufacturing a number of our own brand ranges, we have a number of fantastic suppliers who are dedicated to providing the UK Trade industry the most advanced products in both design and functionality. 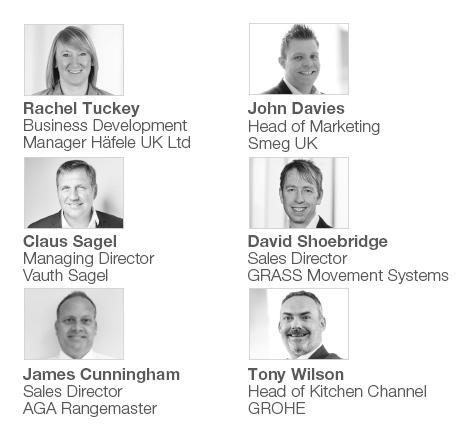 In the latest edition of What’s New: The Spring Edit, we sat down with our partners from Vauth Sagel, GRASS, Smeg, AGA Rangemaster and GROHE, as well as our Business Development Manager, Rachel Tuckey, to find out more about the kitchen design trends that are shaping the industry and give their advice for kitchen designers. In this article, we focus on trends, you can read the expert advice feature here. 2017 was a great year for kitchen design. What do you think the most notable trends were? John: Looking at it from an appliance perspective, we’ve definitely seen an injection of colour into the kitchen! Homeowners a looking to accessorise their grey or blue kitchens with striking built-in or freestanding products such as statement range cookers and fridges. We’ve also seen a rise in carefully designed, contemporary banks of co-ordinating built-in appliances. David: I also think that individualisation was a key trend throughout 2017, with consumers in all areas looking for that special touch that makes their kitchen perfectly unique to them. Rachel: Great point, consumers are definitely becoming more educated in all the design and functionality opportunities available to them, and this is increasing the demand for a wider range of solutions to consider. Whether this is fulfilled by a great statement appliance in their favourite colour, or an intuitive system of storage solutions that allows them to operate their kitchen exactly how they need to, they’re looking for personalisation in every corner of their space. Tony: There is also a trend towards achieving professional style cooking at home thanks to a growth in cooking programmes throughout Europe, and an enhanced palate for exotic cuisine which homeowners wish to recreate themselves. This may often involve additional use of utensils and pans, and more aggressive cooking methods. 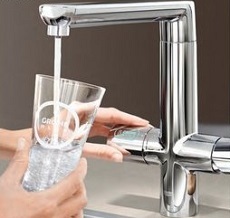 As a result, we have introduced more and more taps with professional hoses and swivel spouts to make the cooking and cleaning process as easy as possible. How do you think homeowners are changing in the way they approach updating their kitchens? James: Longevity seems to be the key driver when approaching a kitchen update, selecting products, particularly appliances, that not only look good but are built to last! This allows a homeowner to feel confident that their appliance will continue to perform for years to come. David: The m ajor change we’ve seen is a continued savvy, informed approach from customers. They are well informed and research options and alternatives very closely, and the result of this is often a much more detailed idea of what they want to achieve. Claus: True, we believe that the comfort factor is increasingly important to consumers too, and great in-built solutions are being demanded by consumers in order to achieve this. In your opinion, what is the perfect finishing touch to add luxury to a kitchen? John: For me, luxury is about glass, metal, understated contemporary design. For this reason, our Dolce Stil Novo range, designed by Architect Guido Canali is the perfect luxury appliance, from touch controlled ovens and wine coolers (and sommelier drawer!) through to coffee machines and even ultramodern gas and induction hobs featuring our new blade burner system. For the ultimate finishing interior design touch, choose trendy copper or steel trims too. 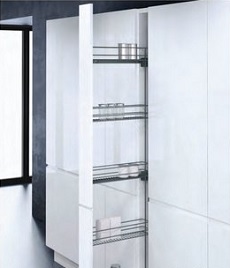 Claus: There’s also the luxury of convenience to consider – products that provide comfort and bring the contents of your cupboards to you are one of the hidden luxuries that homeowners will wonder how they ever lived without! What do you think are the biggest trends to come in 2018? Claus: Intelligence! Smart technology is growing in all areas of the home but particularly within the kitchen. 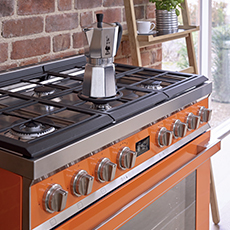 John: We’ve noticed a real trend towards our new mixed fuel hobs – offering the visual side of cooking with gas with the controllability and preciseness of induction hob. James: More colour! After having a few years dominated by monochrome greys, whites and blacks, we anticipate more demand for warm, metallic colours, which add an opulent focus to a kitchen. David: Colour-wise, we’re see a growth in demand new metal colours – like anthracite, copper, rose gold and rust. Tony: The finish of a product will remain an important trend that can completely transform a space, from metallic shades, including the popular rose gold colour, to marble effects. 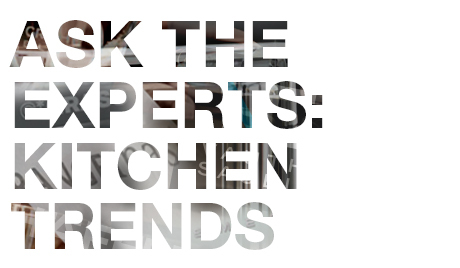 You can read the full Ask The Experts feature in What's New: The Spring Edit in our online catalogue or by ordering your copy for free. Click the link below for kitchen design advice from the experts.